While being the chief minister of Gujarat, Narendra Modi had proven himself to be a great supporter of the economic movement. 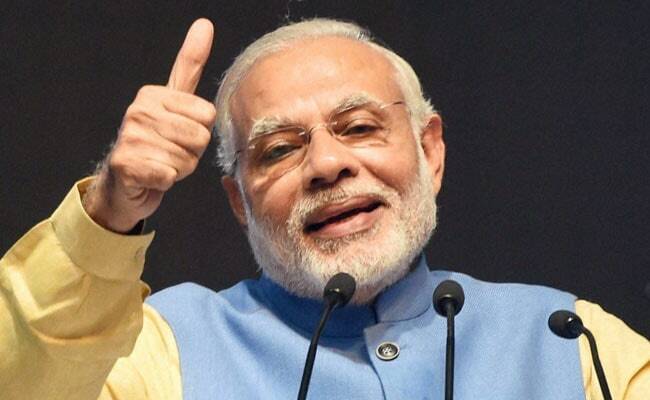 A strong economy has been on the top of Narendra Modi achievements. Under his leadership, Gujarat became one of the most prosperous states in the country and he signed deals with a lot of foreign companies and governments. Narendra Modi has been successful in replicating the same on a bigger level. His foreign tours have brought in a lot of investment with Japan investing in the first bullet train in the country. Though the world shows slower progress, the Indian economy has been progressing with over 7% rate, making it one of the most positive signs for the future. Foreign policy has been among the top Modi achievements. Narendra Modi has often been criticized by the opposition for so many foreign tours. Narendra Modi and Barack ObamaHowever, none of us can ignore the fact that his travels have made a lot of friends for the country. Be it about those warm hugs with Barak Obama or attending Ganga Aarti with Japanese PM Shinzo Abe, Narendra Modi has made friends with the biggest diplomats of the world. It is because of his dynamic leadership that UAE spoke openly against Pakistan sponsored terrorism. India has extended financial help to countries like Bangladesh, Nepal, and Afghanistan and that has resulted in increased regional influence. Also, launching the South Asian satellite will come a long way in India’s plans to become next Asian superpower. Under the leadership of previous prime ministers, India was considered to be a defensive country with its focus on maintaining peace. Narendra Modi has shown a more aggressive way to deal with sensitive issues. Incidents like surgical strikes in Pak occupied Kashmir and destroying Pakistan bases give us a glimpse of it. Also, the government has come face-to-face with the Chinese government on various issues involving Arunachal Pradesh and Dalai Lama. The last presidential elections in Sri Lanka were rumored to be influenced by Indian top leadership. Also, without caring for reactions, India has extended open support to Israel and both the countries are working together on a lot of deals involving defense and technology. Another such incident came at the time of recently concluded Doklam Standoff, where India showed its resistance and refused to give up against the Chinese pressure. This strengthened India’s international image and proved that India has now started to take its stand and the world and countries around India should be well prepared to involve India in any such issue from the next time. Narendra Modi government has taken a lot of initiatives to directly impact the common people. Make in India was announced to make sure that MNCs start their plans in the country, resulting in generating employment and contributing to the economy. Make in India has gathered a great momentum and many countries have signed deals with respective state governments and the central government to boost FDI and employment. Also, initiatives like Digital India has paved a way for future and brought millions of citizens in the mainstream economy. Also, the promotion of e-ways, which promises broadband connectivity in all villages by 2020, will prove to be a great catalyst in the success in future. In India, politics is often considered as synonym os corruption. Though the previous government came under huge criticism for scandals like CWG, Coalgate and 2G spectrum, the present government has not faced any such corruption charges and the politicians have worked with commitment and that is one big modi achievement. Prime Minister has led his team with an example by not taking a single day leave in his tenure. Also, initiatives like the ban of beacons have grown the connection between common citizens and the government. Ministers like Sushma Swaraj and Suresh Prabhu are often seen directly communicating to people on Twitter and answering their queries, Narendra Modi too holds regular Man ki Baat program to talk on general issues. When this initiative was announced, a lot of people had laughed at the fact that the government was giving so much of an importance to such small issue. However, in the last two and a half years, this moment has picked up momentum and bigger cities have started to realize the importance of cleanliness. Railway Stations and public places are now way cleaner than the past and the general public has been involved to make it a mass moment where everyone is aware of their duties. Goods and Services Tax, termed as the biggest tax revolution since independence has finally been approved and will be implemented from July 1st. The government has made sure that the new reform does not cost adverse to the people by keeping sensible tax brackets. A recent report on the rate of taxes on goods and services shows that majority of the items will become cheaper after GST and that has yet again established people’s trust in the intentions of the government. Before GST, the government had decreased the rate of income tax in the lowest slab from 10% to 5%, impacting a lot of middle-class people. Pradhan Mantri Ujwala Yojna has been one of the most appreciated schemes by the current government. The way central government involved the normal people by asking them to give up their subsidies to help the rural women with access to clean energy, has been widely appreciated. Also, schemes like Krishi Sinchai Yojna, Pradhan Mantri Awaas Yojna, and Sukanya Samridhi Yojna have been directly focused for the rural population to increase their standard of life. Recently, the government has also announced the electrification of 100% Indian villages. Though, it has taken over 70 years since independence, it is no small feat, considering there were over 18,000 villages without electricity before Narendra Modi became the prime minister. Ever since India got independence, a lot of planning and execution was done on the central level by Planning Commission. Modi government scrapped the planning commission and introduced Niti Aayog, which promises equal power to the states on matters of planning. Also, the government has scrapped five-year plans from 2017 and will now have 3-year plans and 15-year plans, with clear agendas and objectives. Niti Aayog calls for supporting entrepreneurs and MSMEs to boost the employment in all sections. Niti Aayog works as a corporate entity with a CEO and answerable representatives. With the latest government in power, the politics of appeasement seems to be getting over. After the initiative taken by the central government, Supreme Court declared Triple Talaq unconstitutional and asked the government to bring a law within 6 months. The decision has attracted mixed reviews, with Muslim women coming in open support of the government as well as opposition once again trying to oppose the government. However, one thing has been proven that these decisions need guts and the current government has enough. These were some of the achievements of the Modi government in the last 3 years. Though there are a lot more issues to be addressed in the next few years, the government has surely instilled a feeling of hope among the citizens by making them realize their roles and responsibilities. Let’s hope that the government will continue to achieve in the remaining term.